With their peg legs, their parrots and the skull and crossbones flying from the mastheads of their ships, classic pirates are some of the world's best-known and easily recognizable outlaws. Or are they? These fifteen stories spin new tales of pirates crossing dimensional barriers for revenge, fighting terrible foes in outer space and building new lives after the Trojan War. Travel to the South China Sea, then on to New York City after a climate apocalypse, then roam the Caribbean during the Golden Age of Piracy and voyage to distant and fantastical worlds. Go with them as they seek treasure, redemption, love, revenge and more. Raise the Jolly Roger and sharpen your cutlass (or recharge your raygun) and climb aboard for some unforgettable journeys. 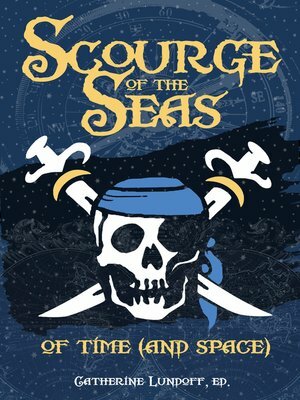 From fantastical adventures to YA science fiction, from historical tales to piracy in intergalactic space, Scourge of the Seas gives readers a broad range of new pirate legends. Featuring stories by Ginn Hale, A.J. Fitzwater, Geonn Cannon, Joyce Chng, Elliott Dunstan, Ashley Deng, Su Haddrell, Ed Grabianowski, Mharie West, Matisse Mozer, Soumya Sundar Mukherjee, Megan Arkenberg, Peter Golubock, Michael Merriam and Caroline Sciriha.